Ask intelligent questions and ask them at the right times — and don’t ask too many. It’s a balancing act. As a new intern, you might feel like you’re drowning at first. Show some initiative when it’s appropriate. But when you’re truly lost or confused, speak up. Unfortunately, not every company can hire every intern — even the great ones. It takes a great intern and the right opportunity at the perfect time to make a job offer. Either way, you’re in an excellent situation. You’re working day in and day out with a group of talented people who all have connections with other talented people. Go meet them! Learn from them! Ask questions! 3. Set goals — and reach them! 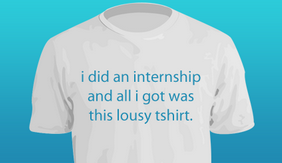 By the end of the internship, you should have accomplished something. Set goals and deadlines that will help you reach those goals. Be sure to report to your boss with updates on your progress. Show that you’re growing and learning — and that you’re helping the company out while doing it. We scoured the internet to find the most mind-numbing, weird, confusing, and random job interview questions out there. We promise we won’t ask you these questions, but if you’re prepping for an upcoming interview, you might as well give your brain some exercise. Here’s a tip: many of these questions are just being asked to see how you rationalize and problem solve. There is probably not a right or wrong answer. 1. How many quarters would you need to reach the height of the Empire State building? 2. Explain to me what has happened in this country during the last 10 years. 3. How many cows are in Canada? 4. Given the numbers 1 to 1000, what is the minimum numbers of guesses needed to find a specific number if you are given the hint “higher” or “lower” for each guess you make? 5. If you were shrunk to the size of a pencil and put in a blender, how would you get out? 7. Estimate how many windows are in New York. 8. Out of 25 horses, pick the fastest 3 horses. In each race, only 5 horses can run at the same time. What is the minimum number of races required? 9. An apple costs 20 cents, an orange costs 40 cents, and a grapefruit costs 60 cents, how much is a pear? 10. How many bottles of beer are drank in the city over the week? Sources: CBS News and Huffington Post. Personality tests are nothing new. The Myers-Briggs test is based on psychological research from the 1920s. Perhaps you’ve taken the test yourself. Or maybe you’ve encountered an employer who requires one of these exams as part of the interview process. (Note: we don’t.) Even coaches are jumping on the bandwagon and testing athletes before recruiting them. These kinds of personality assessments can be nerve-wracking — is there a right or wrong answer? — but when you consider how the results can further your own career, the tables turn. Think of these kinds of exams as “personality profiling.” If you better understand yourself, you’ll better understand your work style, your communication style, and your strengths and weaknesses. 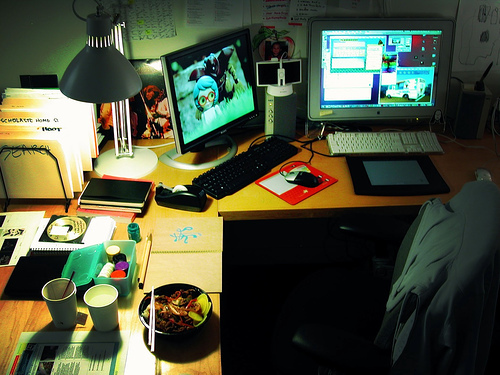 Then you can apply that knowledge to your work life and even your home life. It’s especially important to understand how you thrive best in the workplace — what type of communication styles, management style, and work environment do you feel most comfortable with? If you can nail down these personal details, you’re laying the foundation for a successful career. Remember those silly kinds of quizzes you loved to take as a kid? Personality assessments are just an adult version of those with better — and more researched — results. Some assessments can even unearth what your interests and passions are. Whenever you feel “stuck” in a job search or time of unemployment, these kinds of exams can help you discover the career path that’s best for you. You may even find yourself in a career change situation — scary, but exciting. Try one of the free tests from CareerBuilder, play a game that will help you learn more about yourself, or see if you HR department offers a personality assessment or a “360” assessment that involves getting feedback from your coworkers. Don’t be afraid to take an “interest inventory” and see how you can apply those passions to you current position. Think of these tests as your friend, not your foe, and you’ll be excited to get the results in your hands. Your eyes are tired from staring at your computer screen and your back hurts from sitting awkwardly in your chair. Get up and walk around. Even if it just means a walk to the cafeteria. If you can, squeeze in a walk outside or a quick visit to a coworker who sits the farthest away from you. Every step counts. 2. Your mind needs a break. A little social interaction with your coworkers can do wonders for your mood and your mind. Forgetting about your busy schedule for even just 30 minutes is like hitting the refresh button. You’ll face the afternoon with a clear head and maybe even feel a little inspired after an especially lunchtime conversations. 3. Your day needs a break. If you show up to work at 8 AM and know you’ll be working non-stop until 6 PM, you’re not going to feel great about the day. If you divide up your workday into a morning session, a break, and then an afternoon work session, the day seems much more manageable. Consider scheduling a brief mid-morning and mid-afternoon break as well. Hey, you might actually become even more productive knowing that you have to fit the same amount of work into less time. You’ll never know until you try. 1. How do I address a cover letter? Man people start with something like “Dear Hiring Manager” or “Dear Sir/Madam” or the ever popular “To who it may concern.” While those greetings have been used before, they’re not personal. And they’re not relevant. Between LinkedIn and your own network, it’s likely that you can find out who’s possibly hiring for this position. At the very least, you should know the department. Don’t shy away from more creative greetings like “To the marketing team at Rayovac” if you’re applying for a marketing job at Spectrum Brands in our battery division. Show that you were so interested in the position, that you went out of your way to do some research. 2. If I’m sending an email, do I attach the cover letter with the resume? It’s your own personal choice here, but since there’s a chance that not all employers will open all attachments in an email, don’t risk it. Copy your cover letter in the body of the email. You spent all that time writing a catchy pitch that shows how amazing you are, right? So don’t bury it as an attachment. You could attach it in addition for a double-whammy. 3. 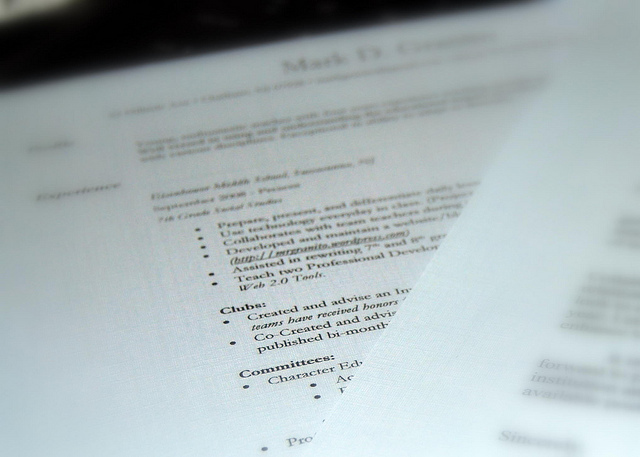 Do I have to write a cover letter? Absolutely yes. Again, you must show that you are so interested in this position that you went above and beyond. And don’t just reiterate your resume. Really study the job description and elaborate on relevant experiences that show off your awesome skills — kinda like as if you were already in an interview. Now’s your chance to shine. So shine on. There it is glaring back at you. A six-month time period in which you were without work. Perhaps you had been laid off. Maybe you quit. Perhaps you cared for an ailing family member. Maybe you traveled. Regardless of what you did, it is true that a long-term stretch of unemployment could hurt your chances of getting hired. But if you’re confident and have the right strategy in mind, you may be able to turn a career break into just another title on your resume. If you did any volunteer work or freelance work during your time off, you might be in the clear. Create a title and description that explains the projects you accomplished during this time — even if there’s only a few of them. And even if you didn’t get paid. Depending on your circumstances, like if you were laid off, this go-getter attitude can be a highlight of your interview. It’s a great example of how you turned a negative into a positive and proof of your go-getter attitude. A period of time off can also be framed as a “sabbatical.” If you’re changing careers or were moving across the country, this could be an okay reason for your time spent unemployed. Be sure to have a detailed story — that hopefully includes some relevant volunteer or freelance work or even some classes. Basically, your time spent unemployed should have some sort of larger meaning that still added value to your career. If you’re currently unemployed and the weeks are making you weary, be smart. Sign up with a temp agency. Volunteer. Get freelance work. Sign up for a class. Take on any projects that can help fill that gap on your resume while you’re searching for a new full-time opportunity. Who knows — your gap might become much more than just a transition. 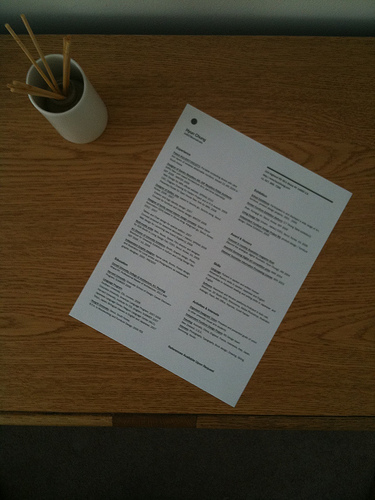 Bookmark this post now, just as quickly you bookmarked our Ultimate Resume Recap. We’ve given oodles of interview advice. It’s a lot to take in, but at least we’ve arranged it here in bite-size pieces with easy-to-follow links. 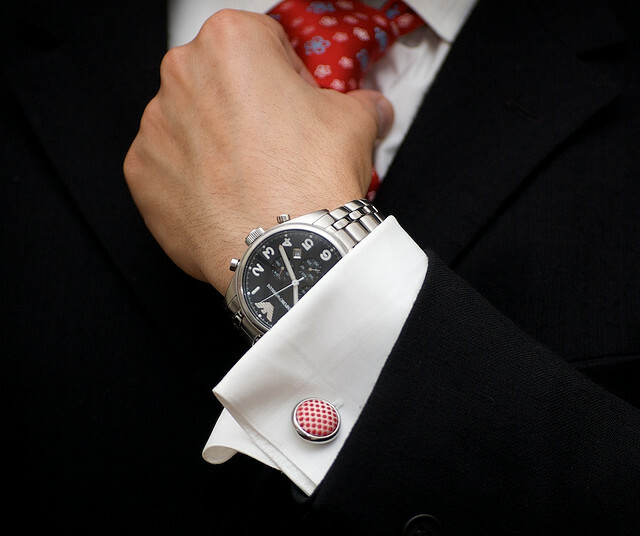 Before your next interview, take the time to brush up on these tied and true tips. Interviewing is like a sport, and you need a lot of practice to excel at it. So start practicing. 5. Get a primer with seven of our favorite interview tips that work. 4. Don’t leave an interview without asking intelligent questions. Lucky for you, we outlined the best ones and even some difficult ones if you’re feeling bold. 3. If you’re a recent graduate, avoid these interview pitfalls that twenty-somethings often succumb to and give these bad interview habits a once-over as well. 2. Interviews are nerve-wracking but here are three things you should not be thinking about during your next one. If your upcoming interview is already giving you nightmares, read this. 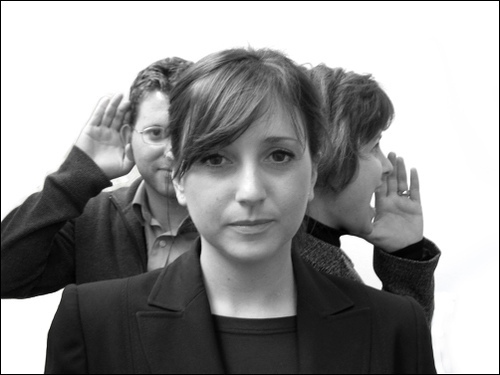 It’s no secret that good communication skills are a must when it comes to the workplace. Our coworkers, our bosses, our clients, and ourselves all deserve it. But sometimes we forget — maybe we’ve gotten a little too comfortable or maybe we’re really stressed and agitated. Keep these common mistakes in mind, then try to avoid them. Ahem, please. 1. Using too many cliches. “Let’s circle back” and “think outside the box” as we “step up to the plate” while we “burn the candle at both ends.” Business cliches are overused. Make sure you incorporate some more descriptive language into your everyday talk. Keep your emails professional. That means a greeting and a sign-off. No abbreviations or emoticons. And be sure to spell check before you hit send. Sometimes we get too passionate during a meeting and start blabbing before we’ve constructed a complete thought. Think twice before you speak, especially when it comes to your work conversations. If you’re texting while you’re in a meeting, you’re not listening. If you’re cutting off your coworker before she can complete her thought, you’re not listening. Be respectful to everyone, even if you think you have something better to say. 5. Sending too many emails. Every work interaction will be either over an email, over the phone, or in person. Decide which format is the best before immediately defaulting to email. A phone call or a meeting might be an easier and more efficient way to communicate. When it comes to resumes and interviews, there are a slew of buzzwords out there like “professional” and “personable” and “productive.” Those descriptors all sound wonderful, but what is it — at the very core of these words — that employees are looking for? We’re going to break down the concepts that make candidates stand out. Use these phrases in your next interview or application along with some relevant examples and you’ll be a step ahead of the rest. Even the most stable companies go through changes. People leave, departments get reorganized, and job duties get redefined. The best workers are the ones who can adapt to anything. They embrace change, not despite it. Show how you’ve dealt positively with an overwhelming change. You’d describe yourself as a “great communicator” and a “team player,” but what employers really care about is how well you going to work with others. Share a story that demonstrates your ability to stay professional and positive even under the most stressful situations. Some employees go through the motions and others go above and beyond. Those are the ones who look for ways to be more efficient and effective. They take calculated risks. They make changes. They make decisions. Illustrate an example of how your passion helped a company’s bottom line.